Ketoconazole is an antifungal treatment that is used to treat infections caused by fungi and yeasts. Can I buy Ketoconazole shampoo? The Online Clinic can prescribe Ketoconazole shampoo for patients with a fungal scalp infection or if they are suffering from hair loss. Start your online assessment today and get this product next day. Ketoconazole is available for more than one type of consultation. Ketoconazole is the active ingredient in medicated shampoo. You may know it better by the name Nizoral. The shampoo is a 2% liquid preparation for topical application only. Ketoconazole is a broad spectrum antifungal treatment, used against fungal infections on your scalp and body such as dandruff, dry or greasy scaling skin (called seborrhoeic dermatitis), and light- or brown-coloured skin patches (called tinea versicolor) that may appear on your body. It also contains products that clean your hair. Ketoconazole prevents fungi and yeasts from making ergosterol that is required for their cell membranes. Holes in the cell membranes enable the cell contents to flow out, killing the fungal and yeast cells. Ketoconizole works by killing the fungus or yeast and preventing it from returning. Additionally, ketoconazole blocks hormones known as androgens, which shrinks hair follicles and cause healthy hair to die, thus making it potentially beneficial for people with hair loss. Only use your medicine in the way your doctor has told you - with ketoconazole shampoo this is on your hair and skin only. Use the shampoo to wash your hair or affected parts of your skin; then leave for 3-5 minutes before rinsing thoroughly. If it goes in your eyes bathe them in cold water; if you swallow any, immediately contact your doctor. If you have dandruff or dry/greasy skin, use the shampoo twice a week for 2-4 weeks followed by once every 1-2 weeks to stop the problem coming back. If you have coloured skin patches, use the shampoo once every day for up to 5 days. If the patches appear worse after exposure to sun, then use the shampoo once a day for up to 3 days before you next bare your skin in the sun. Do not use ketoconazole shampoo more often than stated on your prescription - if you need to wash your hair more frequently, then use your usual shampoo. However, if you forget to use the medicated shampoo, use it as soon as you remember but do not double-up on the dose. Adults and adolescents may use ketoconazole shampoo; it is not recommended for use in children. This shampoo cannot be used if you have an allergy to ketoconazole or any one of its other constituents. Tell your doctor if you are using any creams or lotions that contain a corticosteroid. It is recommended to use gradually less and less of the corticosteroid while using the shampoo, as this will prevent the condition from getting worse. Ketoconazole does not usually interact with other medicines, although you should inform your doctor of the medicines you are taking or have recently taken, including non-prescription medicines. Mention to your doctor if you are or could be pregnant, or are breastfeeding. Fewer than one in 100 people may experience dry skin, rash or a burning sensation, abnormal hair texture, infection of the hair follicles, and increase in tear production. Although, ketoconazole may be used to prevent loss of hair, conversely it may rarely also cause hair loss or thinning. Very rarely, eye irritation, altered sense of taste, acne or contact dermatitis, and skin peeling are experienced. While it is not known how often they occur, changes in hair colour and hives have also been reported. If you would like to discuss treatment for scalp and skin conditions including hair loss, simply click on the Free Consultation button and complete the short online questionnaire. 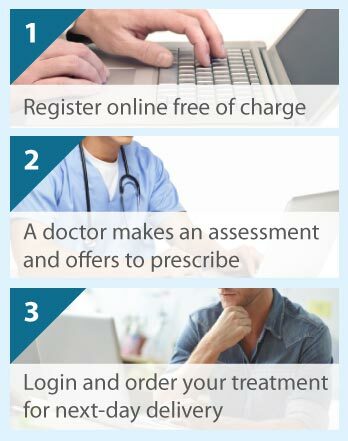 An online consultation with an experienced doctor will determine which treatment is best for your condition.